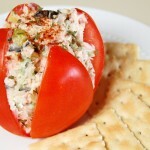 A light and easy meal for lunch or dinner. In medium bowl, combine all ingredients except tomatoes, season with salt and pepper to taste. Chill 1 hour. Core tomatoes, slice from the top, down 3/4 of the way through, into wedges; open wedge slices slightly. 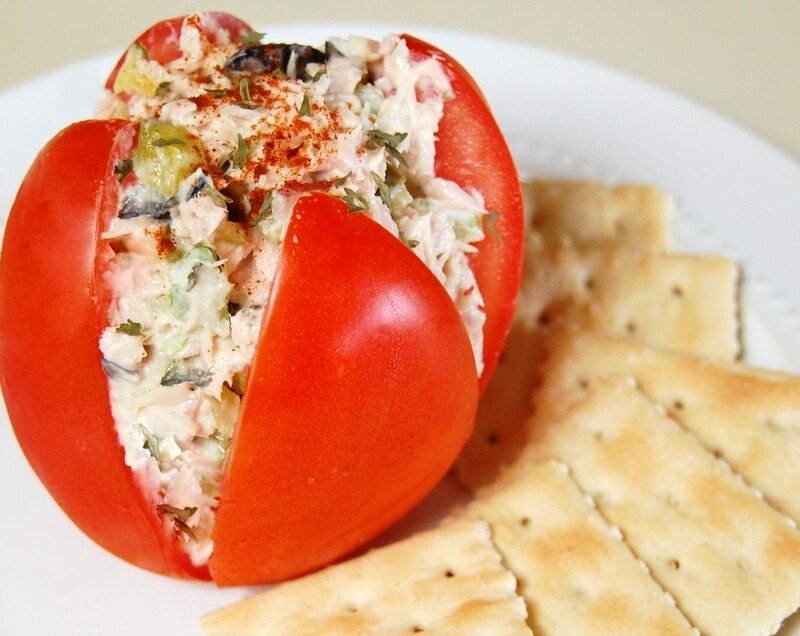 Spoon tuna salad into the middle of each tomato. Enjoy!